Details of relining old barrels. A shows steps in boring oat old barrel, the relining tube and the assembly of same. B is gas burners and barrel rest necessary for soldering liner in barrel. 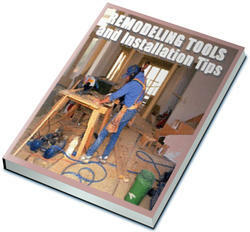 C is the two types of tinning tools for coating inside of old barrel and D is spring clamp for holding barrel on stand. After the liner is cut off flush with each end of the barrel and fitted to the action, the extractor cut is made, the liner is then chambered for the cartridge and the muzzle end is finished with a countersink equipped with a pilot fitting the bore. 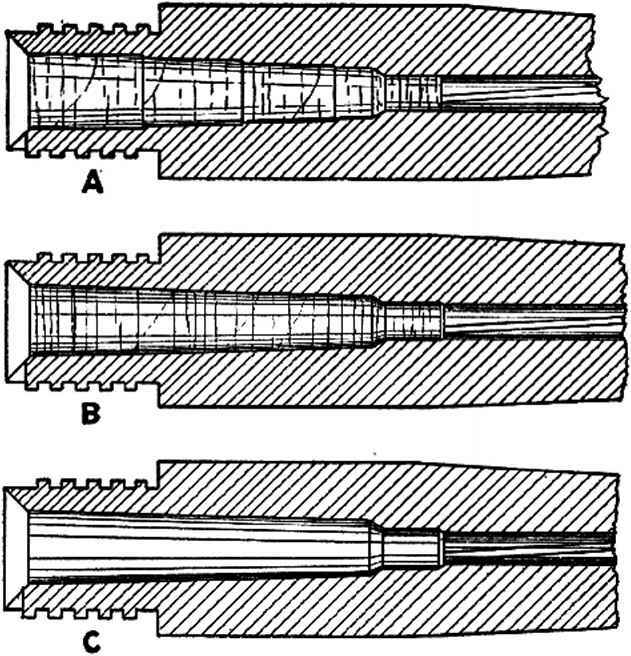 In rifling a barrel or a reliner tube, the rifling cutter sets up a small burr along the edges of the grooves and these must be removed by lapping. Insert a grooved lapping rod in the barrel after wrapping about two of the lower grooves with string, the rod being inserted from the breech end of the barrel and slopped just a little short of the muzzle. The barrel is stood or rather held upright in a vise, muzzle-up, and in the case of a new barrel, is heated so that the lead casts a full lap. If it is heated to just a light straw color, it will be sufficient and the heating is done only for the length of the lap at the muzzle, about two inches. The melted lead is poured into the muzzle and is just allowed to come flush with it. As soon as the lead cools, which it does very quickly, the lap is pushed out of the muzzle just a short distance and examined to see that it is perfect. If it shows an overflow at the muzzle this is trimmed off with a sharp knife. Do not allow the lap to come entirely out of the barrel at any time until the lapping work is finished. Give the lap a coating of light oil and withdraw it to the breech end of the barrel, allowing it to extend slightly from this end, so that the string may be removed and the lap coated with a fine grade of optical emery. While the lap is at the rear end of the barrel, coat the barrel from the muzzle end with oil. 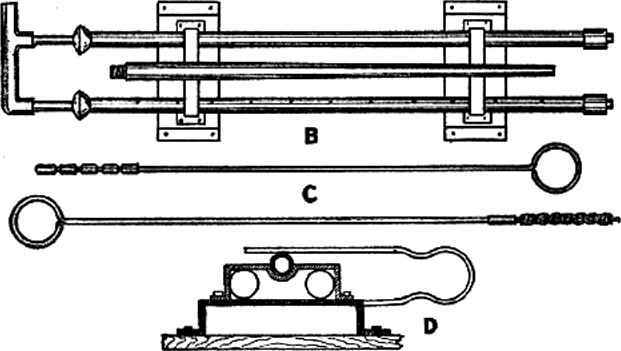 The lapping rod is equipped with a ball-bearing cross-handle at the opposite end from the lap so that it may easily be grasped and worked back and forth through the barrel. Stops are placed at both the muzzle and breech end of the barrel so that the lap will never be pushed or pulled entirely from the barrel. Lap the barrel for eight or ten minutes, adding fresh emery and oil frequently. At the end of this time withdraw the lap from the barrel and wash the barrel out with gasoline or solvent and examine it to see that all burrs have been removed. If further lapping is necessary, an entirely new lap must be cast on the rod in the barrel, as before, for the old lap cannot be reinserted. If you desire an extra high polish, as is often given to .22 caliber target barrels, the barrel can be polished with rouge and olive-oil after the lapping operation. Leather washers about two or three-thousandths of an inch larger than the groove diameter of the barrel are placed upon a polishing-rod with ball-bearing cross-handle, these leather washers being separated from each other with small brass washers and retained in place by a brass nut on the end, which is made bore diameter. During the polishing operation, this nut can be tightened a little from time to time, to swell the leather washers slightly. The polishing operation may be kept up for an hour or more. In casting a lap in a relined barrel in which an un-rifled tube has been inserted and later rifled, the barrel cannot be heated as hot as the one-piece barrel, or the solder holding the tube in place will be melted, therefore keep temperatures to not much over 250 degrees. Lathe spindle, showing barrel chucks at each end. Where to get barrel reliners for 22 rifles?